Posted on September 27, 2018 by Ching under Leadership, Things to Do. Well, it took more than a year but I am finally done. 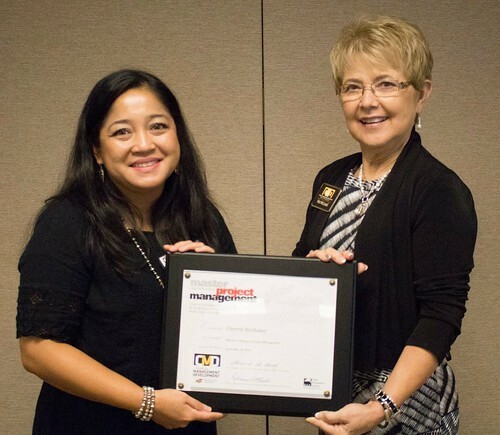 I received my Master Certificate in Project Management earlier this month from Wichita State University‘s Center for Management Development. But, as a lifelong learner, I’m never truly done. While I’m finished with this program, there is still so much more to learn. For now, I need to decide whether to apply for a Project Management Professional (PMP) certification. I suppose that would be a reasonable next step. I’m not in a hurry to do it because it’s not required for my current role but I’m thinking this might be something I want to complete in 2019 should my schedule allow it. I’m still undecided. What do you guys think?